How do I buy a Fresh Coat Franchise? Fresh Coat is a home based, low investment, low overhead business in a high-growth industry. Fresh Coat Painters provide extensive training and support programs – including how to work with experts in the field that are part of the franchise ownership experience. Franchisee's are there to manage and grow the business. To buy a Fresh Coat franchise there is an initial investment between $53,850 and $81,750. Ready to Give Your Life a New Look? Time for a Fresh Coat! 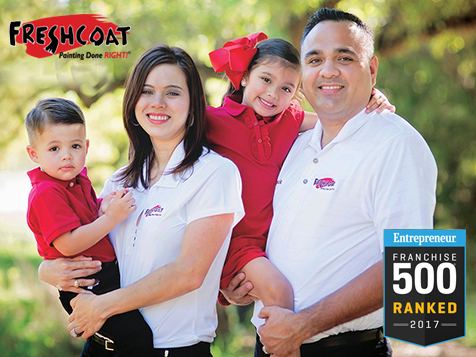 Over 120 Fresh Coat owners have taken control of their lives by taking control of their careers with our franchise. When you buy a Fresh Coat franchise, you are in control. You own the business, but you get to skip the years it takes to build up a great, national reputation – we already have that! You also get training, ongoing support, and guidance every step of the way. Open Fresh Coat in any of these available states: AL, AZ, AR, CA, CO, CT, DE, FL, GA, ID, IL, IN, IA, KS, KY, LA, ME, MD, MA, MI, MN, MS, MO, MT, NE, NV, NH, NJ, NM, NY, NC, ND, OH, OK, OR, PA, RI, SC, SD, TN, TX, UT, VT, VA, WA, WV, WI, WY, DC. Marketing Support& Operation Support – At Fresh Coat, our franchisees are constantly surrounded by support from both our Marketing Department and our Operations Team. 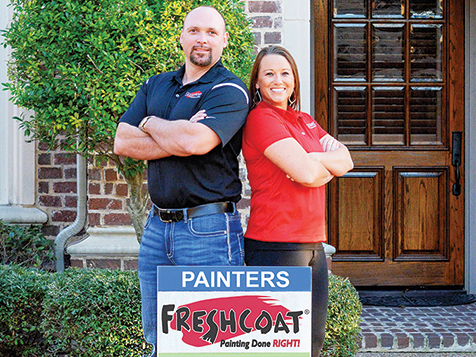 We have national and local marketing initiatives and resources to drive customers to your place of business, and experts to guide and coach you for as long as you own your Fresh Coat franchise. 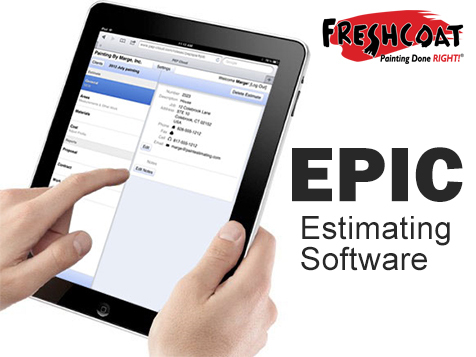 EPIC – Know Your Price! Is web based - works on any laptop, tablet, or phone! Gives line-item quoting to help you win bids by striking out individual services when customers suffer from sticker-shock, but still shows you how to make a profit! The Winner’s Circle – Franchise Fee Reimbursement! Franchisees that join in 2017 will be eligible for our Winner’s Circle incentive. So what’s behind the fancy name? Only a complete reimbursement for your franchise fee! That’s right! 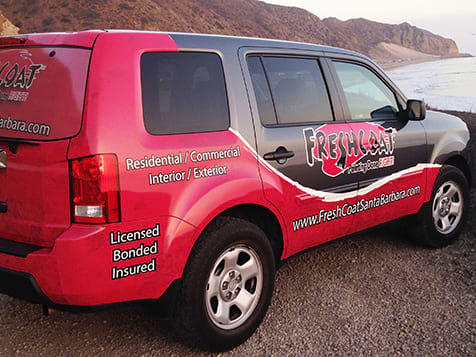 You could be owning your own business under the prestigious Fresh Coat brand and end up getting a check giving that initial investment right back to you! All new franchise owners that just in the course of running their business grow and reach the required milestones will be included in our 2017 Winner’s Circle! *See Item 19 of our April 1, 2018 Franchise Disclosure Document for details. Based on data reported by franchisees that were open and operating full-time for at least 1 year for the period ending December 31, 2017 and that reported Gross Revenues and income statements. A new franchise owner’s results may differ.